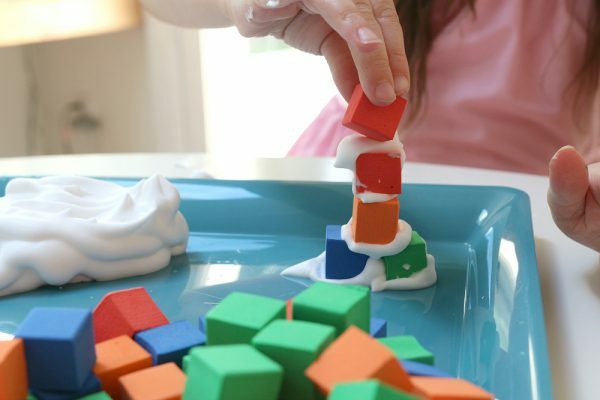 Amazing fun and learning often come from incredibly simple materials, which is exactly what happened with this preschool STEM activity. My youngest was home with a bad cough but by noon we were both climbing the walls. 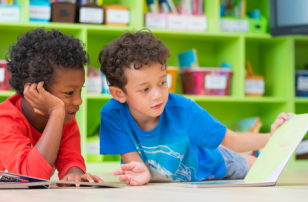 I asked if she wanted to test out a fun activity for me before I took it into my classroom, she was game! 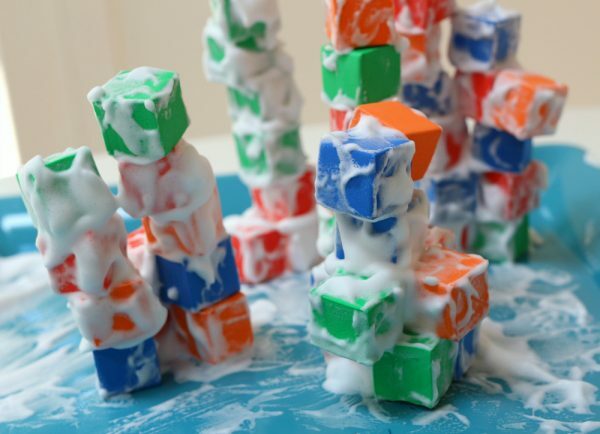 This building activity is great because it attracts children that might not be eager to play with blocks but the shaving cream is just too novel to skip, and for children who do love blocks the addition of shaving cream gets them thinking about one of their favorite activities in a new light. 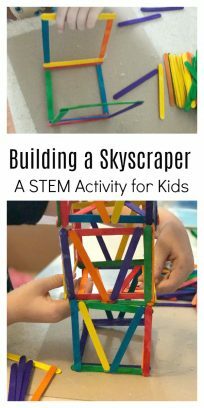 What I do know if that this was a ton of fun and every single thing for this STEM activity for preschool was bought at the dollar store. Gather your materials. 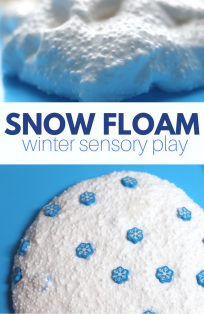 You will need some foam blocks, shaving cream, and a plastic tray. 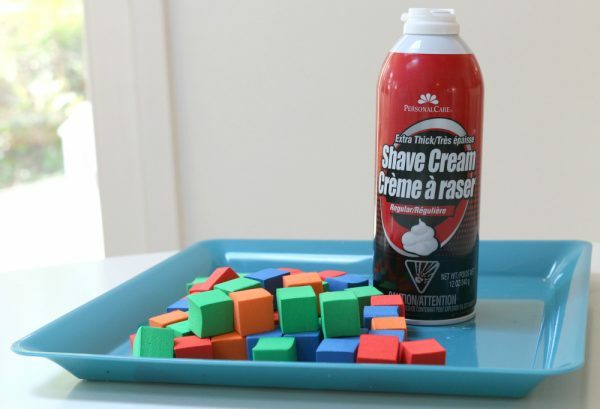 Start by putting foam blocks on the tray and spraying some shaving cream in a corner. 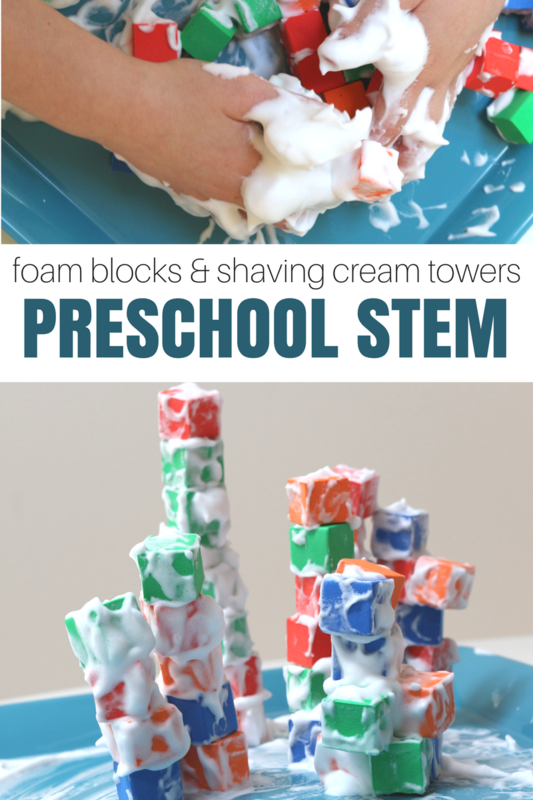 Ask your engineer in training if they think shaving cream makes good glue for towers. Don’t show them, just ask and see what happens. 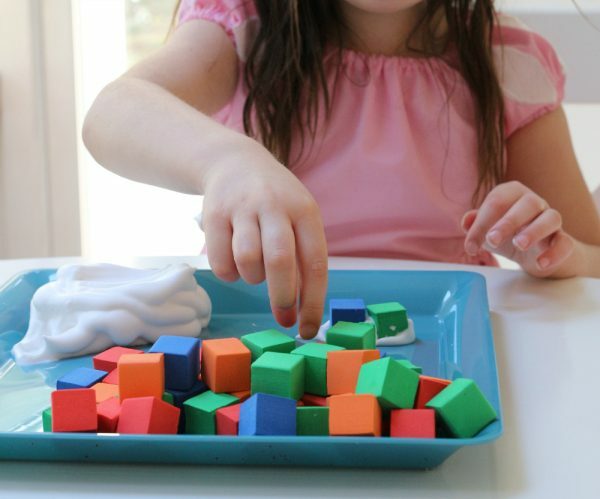 In class, I would do this at the table with a couple of children and myself prompting only if needed. but then started to really explore! 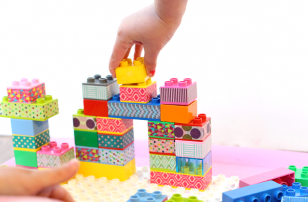 And then she returned to building towers. 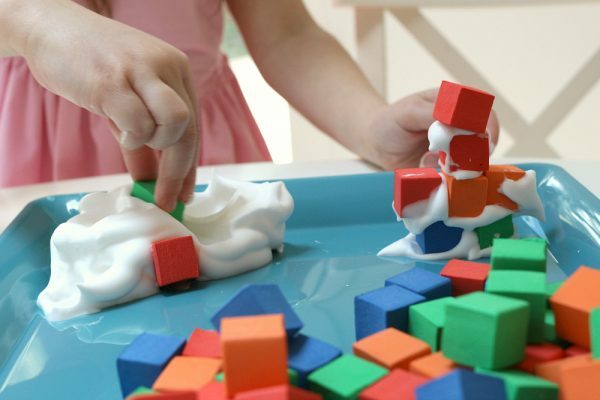 Until every block was used up. 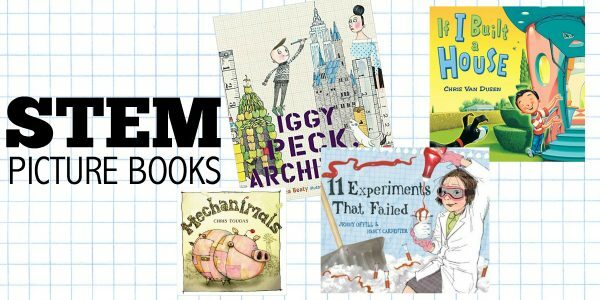 Check out our list of wonderful STEM picture books for kids by clicking on the image above! 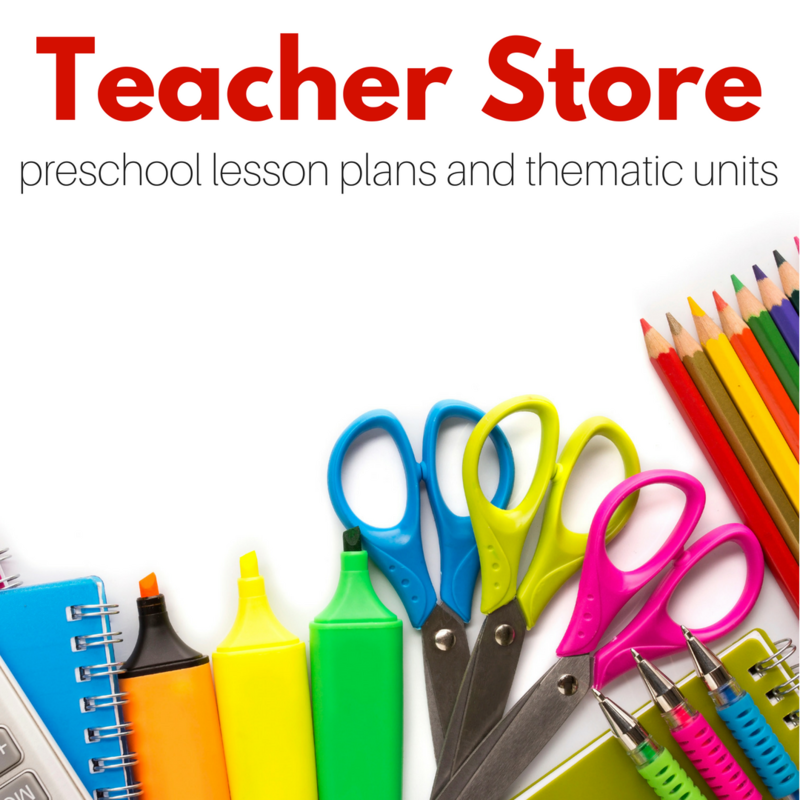 Thank you so much for this activity! 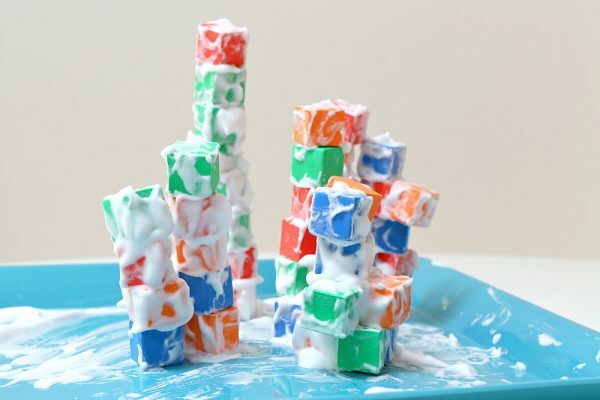 I tried it today in my Head Start class, and my children were so engaged in the activity and seeing how many different buildings they could create with the blocks and shaving cream. 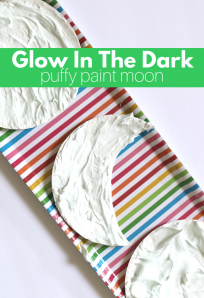 What a fun activity. 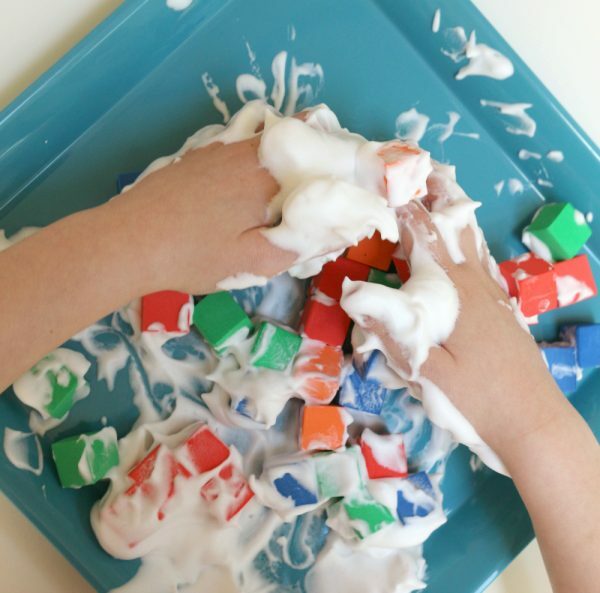 Sometimes we as parents need to let our kids get messy to experience great learning activities like this. 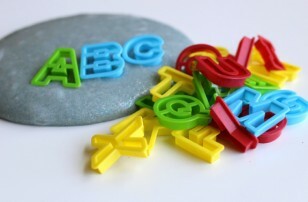 My kids would definitely have a blast doing this.